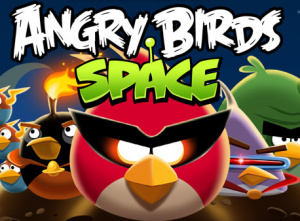 The newly released Angry Birds Space game is in fact coming to Windows Phone, as stated by Rovio CEO Mikael Hed in an interview with Reuters. Earlier media reports did receive information from another Rovio employee that the gaming firm was dumping the Windows Phone platform with Angry Birds Space, but that’s not the case at all. The newly spaced out addition to the well known game Angry Birds will indeed make an arrival on the Windows Phone. Hed did state no release date has been set yet, and rest assured once the game does release it will be as an Xbox LIVE Windows Phone game. In the same interview with Reuters, Hed also mentioned Rovio is working closely with Nokia to get their applications on the Nokia platform, basically all Nokia Windows Phones. With this information, Angry Birds Space will probably be another Nokia exclusive for it’s initial release then will spread to other manufacturers. Rovio wants to bring the best possible experience of their games to all their fans, including Windows Phone users.